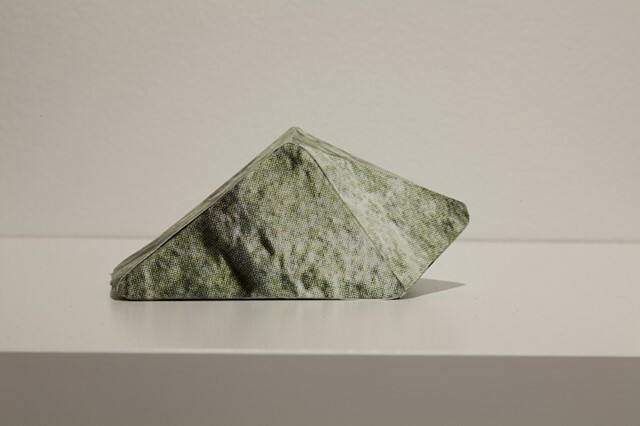 In the installation Undeliverables, polygonal print sculptures depict fragments of lost landmasses through the aesthetics of 3D modeling, as used in virtual maps like Google Earth. 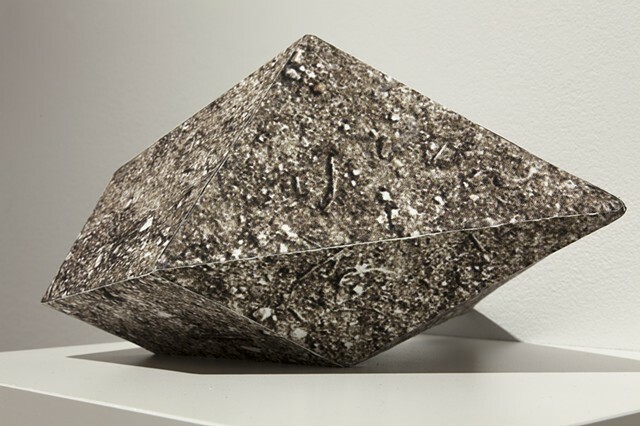 Drawing upon research into Sandy Island, a nonexistent landmass depicted on traditional and virtual maps until 2012, these sculptures are constructed from inkjet prints and binder's board. 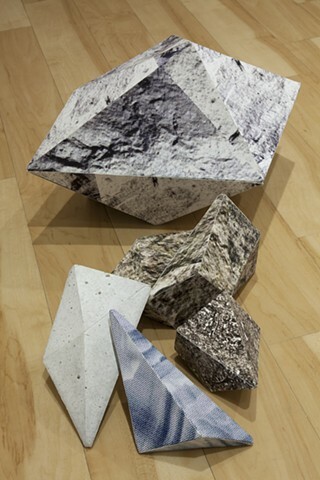 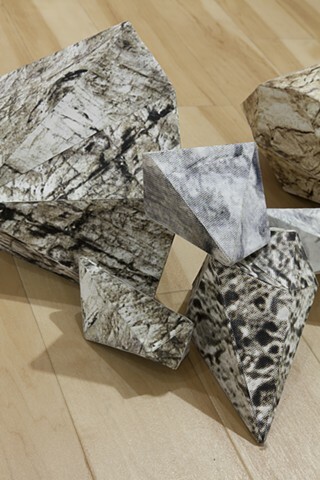 The images that wrap around the polygonal forms are taken from open-source textures depicting natural surfaces such as rock and ice, intended for use in building simulated environments in "sandbox" video games, such as Minecraft. 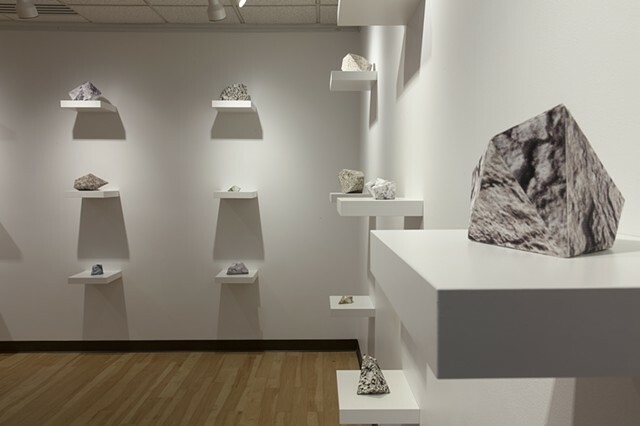 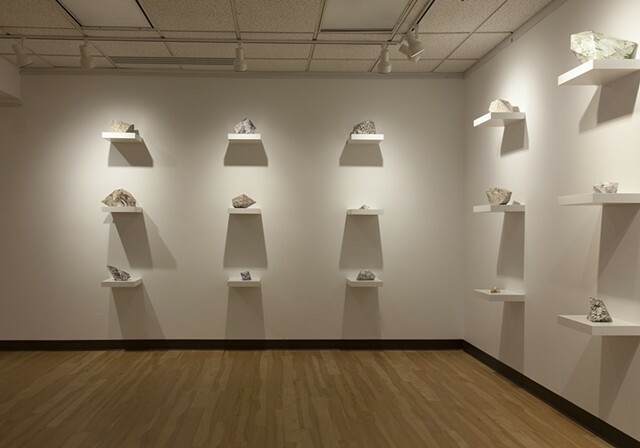 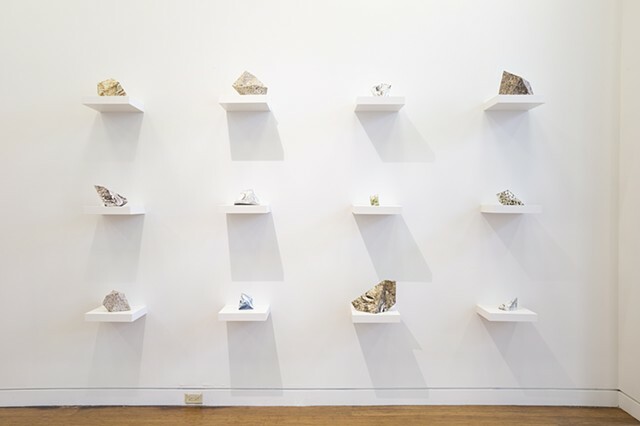 The resulting rock-like sculptures are displayed in a grid of white shelves, referencing the aesthetics of museological display.